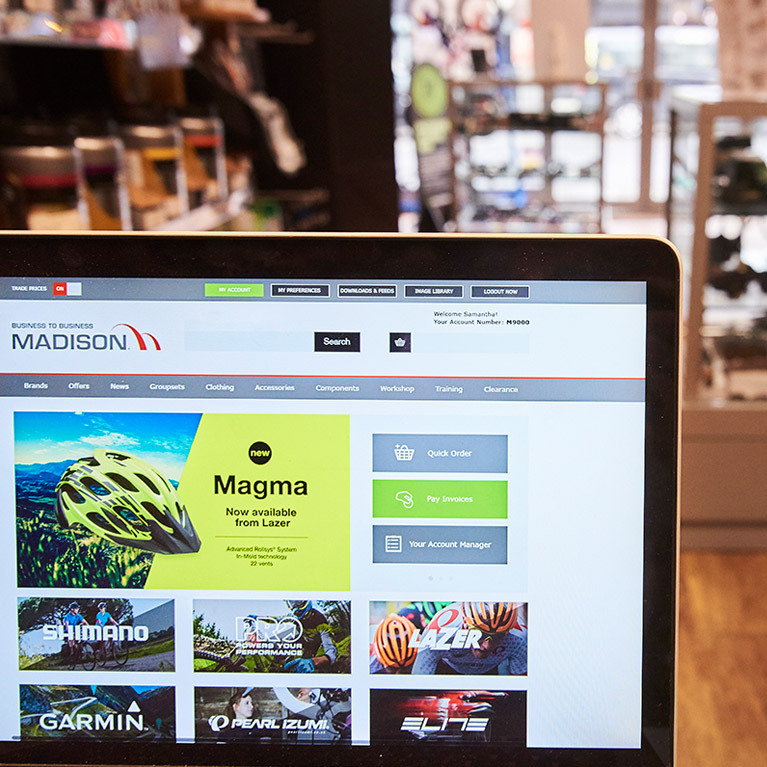 Madison started back in 1977 as a small bike shop based in North West London. 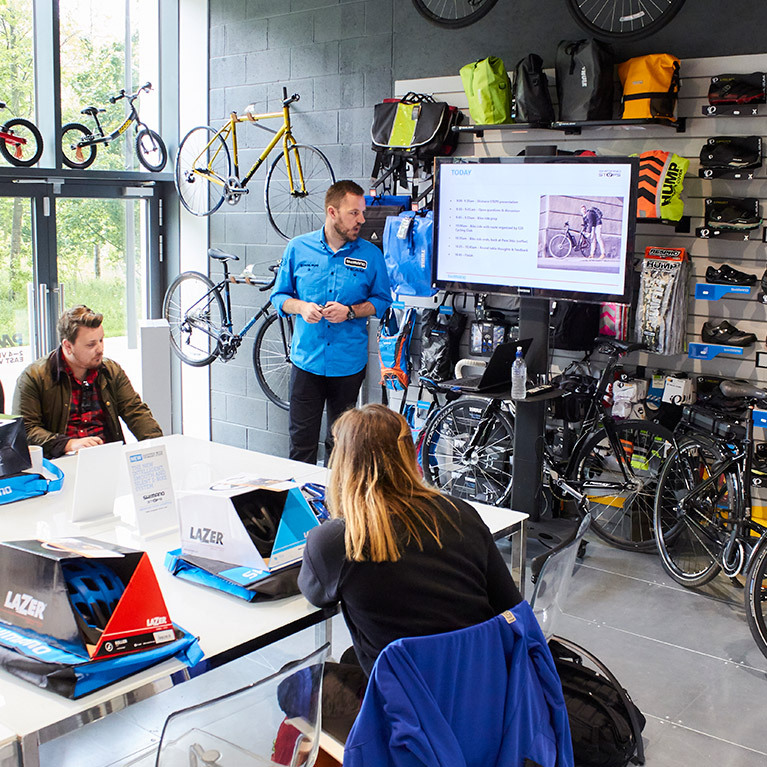 Over the last 40 years, that shop has transformed itself into the UK’s leading distributor of bicycle parts and accessories, as well as one of the fastest growing players in the motocross and freesports equipment market. It goes without saying that everyone at Madison is passionate about cycling - it’s our lifeblood. But we’re equally passionate about giving our customers the best possible service as we know that their business and needs are what we’re here to serve. The better we are at our jobs, the easier life is for them. We’re extremely proud of our B2B system, which is a state-of-the-art way to make things easier for all of our customers. When you need a product there’s no more messing about with phones or sitting there on hold – you simply log on, order what you need and wait for it to arrive. We launched the system in 2001, and it’s become an essential and incomparable part of our business. Orders are processed automatically and then delivered within days, with many actually making it out the door that day for next day delivery. It takes the stress out of ordering, and makes for a streamlined, efficient system that improves both our business and yours. We’re extremely proud of our B2B system, which is a state-of-the-art way to make life easier for all of our customers. If you need a product there’s no more messing about with phones or sitting there on hold, you simply log on, order what you need and wait for it to arrive. We launched the system in 2001, and it’s an essential and incomparable part of our business now. Order are processed automatically and then delivered within days, with plenty actually making it out the door same day for next day delivery. It takes the stress out of ordering for our customers, and makes for a streamlined, efficient system that improves both our business and yours. Another of the fundamentals parts of our business at Madison is the brand management team. We believe we have the best team in the business, and are confident in saying that no other distributor can offer the same level of attention to detail, customer care and expertise that we have here. In fact, many of the brands we work with see Madison’s brand managers as an extension of their own businesses, and we have relationships between brands and staff that, in some cases, have lasted for decades. All of the information on our B2B system is personally curated and updated by our brand managers. It’s a time-consuming process, but there’s no substitute for the people who know these brands the best being the ones that look after the information you see when ordering a product. That means you can be sure that product information, images and pricing are all correct when you order something, and it means you can order easily and with full confidence. We have two wholly-owned sites in Milton Keynes. The first – known as the Madison Distribution Centre – was opened in 1998 as the culmination of 25 years’ hard work. This 75,000 square foot facility houses all products other than bikes and apparel, and has an internal clearance of 11 metres. Then, in summer 2006, we opened a second, 55,000 square foot, facility with 5,500 pallet locations. In 2010, a further building was purchased, this one being 80,000 square feet and coming with certain special features such as a ‘clean room’ area, photo studio, training rooms and significant amount of office space. In March 2005, we launched our bespoke barcode-based warehouse management system to further enhance customer experience. This is an ultra-efficient system, and means that 100% of orders placed before 3pm are shipped same day to customers with a 100% pick accuracy. In 2011, we replaced that system with an internationally respected proprietary warehousing system to handle our advanced logistics requirements. We have 28,000 SKUs in stock, ready to go, housed in over 150,000 square feet of warehouse space. On average we ship 1,100 orders and 2,500 outers per day. That adds up to 80,000 boxes shipped each month. 85% of those orders placed before 5pm get out the door the same day for next day delivery. 100% of orders placed before 3pm are dispatched same day to be delivered the next working day.